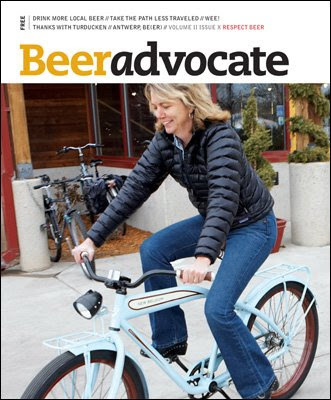 This month's issue of Beer Advocate Magazine, thanks to Mark. Brilliant cover. 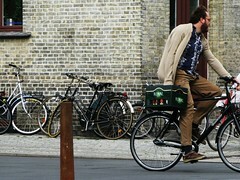 I've posted several beer adverts featuring the bicycle under the Promoting Cycling tag, like Miller, New Belgium Beer and Guinness, so this is an extension of the theme. 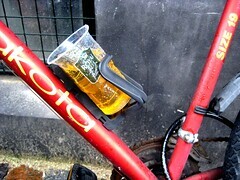 I now also get to [re]post these beer/bike shots!